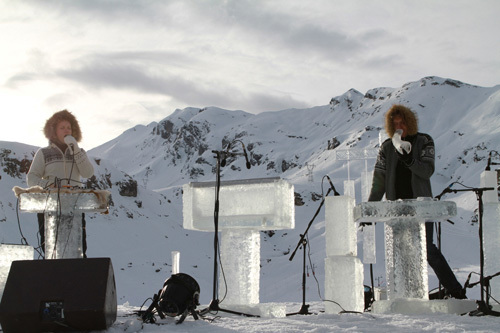 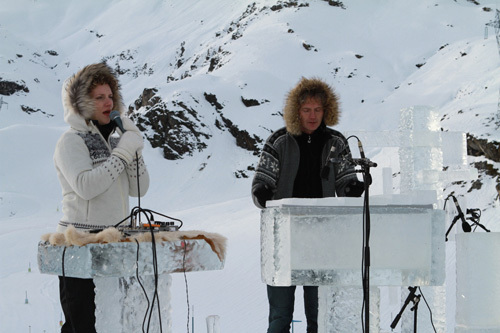 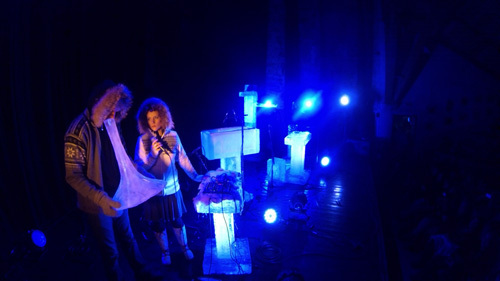 ice instruments making, Lighting design, for the concerts of ice music by Norwegian musician Terje Isungset, in Cauterets, Luz-saint-Sauveur and Gavarnie, in Pyrénées, France. 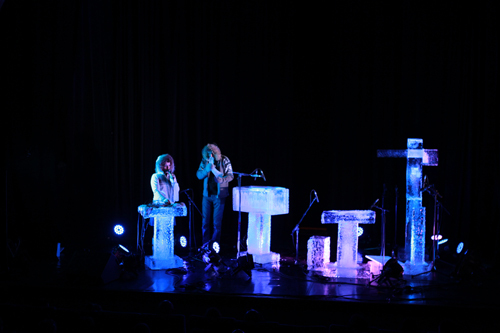 ice instrument making and backliner, lighting design, for ice concert of Terje Isungset, Pyrénées, France. 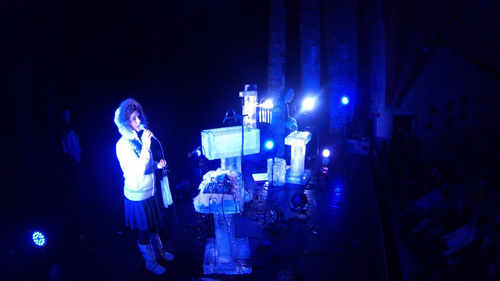 -Eric Mutel: ice instrument backliner, visual, stage, lighting design. 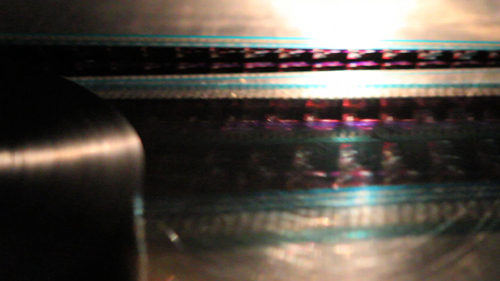 Based on 35mm film being video taped while rolling through mechanical cinema platform system, we look at the image in movement on the film itself, and its small reflection or projection on the aluminum platform. 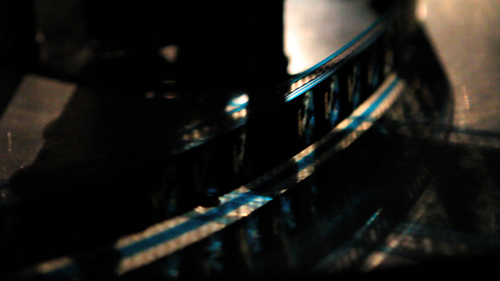 This work is based on the illusion of movement in films made by the succession of image. 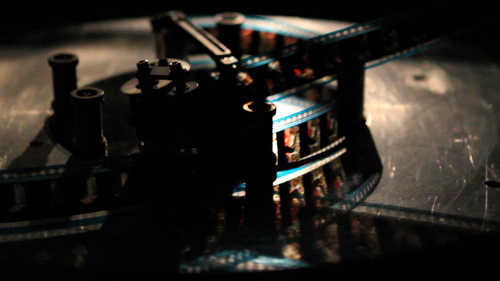 These works are more suitable to be displayed or viewed on a video monitor or HD TV, as a small looped installation, than in cinema program.